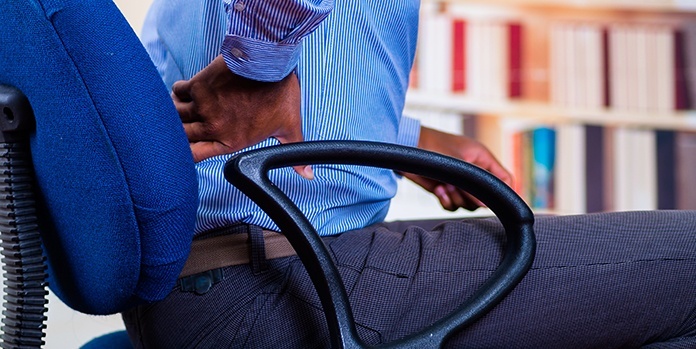 Back pain can be a difficult condition to manage. One cause of lower-back is lumbar spinal stenosis (LSS). Anyone with LSS would agree that it is a painful and debilitating condition with limited treatment options: surgery or more conservative measures such as exercise, physiotherapy or pain relieving injections. Lumbar spinal stenosis (LSS) is defined as a narrowing of the spinal canal in the lower back and can cause pain and numbness in your legs and back, limb weakness and loss of sensation of your extremities (Mayo clinic, 2011). If you choose exercise therapy as part or your treatment for LSS (and the research recommends that it should be included), there is some basic information that you should know. The good news is that current research shows if you can decrease the extension forces on the lumbar spine caused by certain tight muscles and weak muscles, a reduction of the lumbar lordosis can be achieved which can decrease the level of pain experienced (Goren, 2010).It has also been found that extension(bending backwards) of the lumbar spine (e.g. excessive lumbar lordosis) causes a 20% reduction in the intervertebral foramenal cross sectional area (spinal canal space) which exacerbates LSS, therefore exercises that promote lumbar flexion are encouraged (Iverson et al, 2010). This explains why for someone with LSS, bending forwards slightly is relieving and bending backwards increases the pain experienced.So how does this translate into specific exercises that you should be performing at home or at the gym? Low intensity cycling at 60% of HR max ((220 – age )* 0.6) is recommended initially. Walking can be included if it is pain-free and more success has been shown with supported walking (e.g. nordic walking poles, shopping trolley, etc). Stretching the hip flexors, hamstrings, adductors, quadriceps and lumbar paraspinal muscles will help to correct excessive lumbar lordosis. All exercises should be performed with a neutral spine or posterior pelvic tilt (where suitable) and ideally exercises should be supervised by a qualified trainer or Kinesiologist to ensure you maintain the correct spinal positioning. Choose exercises that do not over-activate iliopsoas. Training the deep abdominal muscles, multifidus and pelvic floor should provide a more stable trunk position. Progress these exercises to include trunk flexion and work on strengthening the lumbar extensors in an isometric position (without actual extension). initially exercises like leg press, wall squats, leg extension and leg curl should be able to be performed as the lumbar spine is supported. These can be progressed to DB squats, swiss ball squats, lunges, cable leg extension, swiss ball leg curl and dead lifts provided that the correct lumbar posture can be maintained (e.g. neutral or posterior pelvic tilt). initially choose exercises that are seated/supported such as machine based chest press, seated row, seated shoulder press, bicep curls and triceps extensions. These can be progressed to dumbbells and unsupported exercises once enough trunk support has been developed and the correct lumbar posture can be maintained. Postural correction and balance training are also recommended. As you can see there is a large amount of exercise that can be done safely (and the list above is only a sample). The most important part about exercise with LSS is that is must be be performed correctly. Many people will need to be supervised for the majority of their exercise sessions and even the experienced gym users require a few sessions to ensure they have correct spinal positioning throughout the movements. 2. Goren, A. (2010). Efficacy of exercise and ultrasound in patients with lumbar spinal stenosis: a prospective randomized controlled trial. 24, 623 – 631.3. Iversen, M., Choudhary, V., & Patel, S. (2010). Therapeutic exercise and manual therapy for persons with lumbar spinal stenosis. 5 (4), 425 – 437.